The department store of the 1970s and 1980s was a labyrinth of wonders, a never-ending series of corners opening up into new lands – most of which were pretty dull to a kid. Until you got to the children’s department, that is. Push past the shoes and the pants and the dress clothes and more often than not a kid would find a toy section, or at least a play area, made just for them. 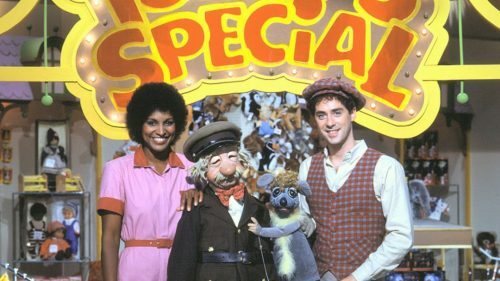 It’s a pretty special place in a world that didn’t have a ton of special places for kids, and TV Ontario’s “Today’s Special” program hooked into that magic and made something really unique. “Today’s Special” took the mystery of the department store and combined it with another kids’ mystery – what do grownups do at night – to create a magical scenario. Jodie works the night shift at a department store along with Sam, the night watchman. A mouse named Muffy also lives at the store, presumably with permission as she has her own apartment with her name on it. Then there’s Jeff, the mannequin who wears an enchanted hat that turns him into a human when a magic spell is spoken. The foursome spend each episode digging into a particular topic, that day’s “special”. Jeff and Muffy, with their limited real-world perspective, serve as the eyes and ears of the child as they learn and explore each topic. Said exploration usually involves songs and skits, some with pretty elaborate costumes and set pieces. Sam’s computer, the TLX, performs a very HAL-9000 role for the store. While maintaining lights, weather, and security, the TLX also narrates interstitial segments throughout the episode. These could be a vignette with a mime, a Mother Goose nursery rhyme, or a quiz that kids can participate in. Sam and the TLX often get into interactions about the value of humanity and the impending robot takeover – I’m not kidding – that provide a gentle yet sobering slap. It’s not all fun and games; the show took opportunities to educate kids on harder aspects of life as well. One episode focused on alcoholism in a way that doesn’t offer any false tidy solutions, instead focusing on making sure kids knew that a grown-up’s alcoholic behavior wasn’t their fault. 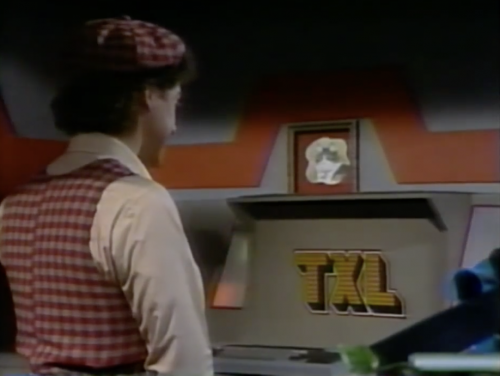 While TV Ontario produced the show, it aired in the US on Nickelodeon in the early 1980s – an era where Nick was relying heavily and Canadian and other international programming to fill their lineup. The shopping malls and Amazons and Wal-marts of the modern era may have put “Today’s Special” in a “relic” category, something kids don’t get to tangibly experience in today’s real world, but that doesn’t make the show any less unique. And judging from my five-year-old’s obsession with it, it holds up. TV Ontario’s got a few episodes up on their site. Here’s hoping for more someday. I remember this show as one of my first brushes with existential horror as a kid. Must’ve been an episode where the magic hat falls off an inopportune moment. I got pretty tripped up as a kid as well, trying to turn the rules of Jeff’s sentience over and over in my head! He did not deserve to have his ‘life’ removed from him just because a magic hat fell off his head, and that shook me!